Another beautiful executive home by " Homes by Campbell" Total of 3878 developed space in this Gorgeous fully dev W/O bungalow with huge 3 car ( 1200 sq ft ht att gar) . As per all of their homes it is featured to the max. Cherry wood cabinetry, quartz, coffered ceilings, beautiful entries, tons of closets and huge walk ins, windows are plenty, 9ft ceilings through out basement as well 4 bedrooms or one can be used as den. Master is huge with a large beautiful ensuite. 2 stone fireplaces with built in entertainment centers, large kitchenette/wet bar in walk out basement, rec area, fam room, huge storage areas, Walk up basement to the garage as well. In slab heating, each bath has infloor heat ( upstairs electric thermostat in each bath. Walk thru pantry, huge laundry room with cabinetry, Large lit pillars invite you in to this beautiful executive home with everything you need. New privacy trees planted . Power and gas lines to west side of house to service a future shop or W.H.Y. Driveway will be paved. Views are fantastic!! Paved right to your door, easy commute to Okotoks and High River, or head west to the mountains. Other features are~ stamped cement flooring in basement, Acrylic stucco exterior and stone. Covered patios, great personal community. Owner lives in same community and very much promotes " Pride of Ownership" Restrictive Covenants apply to keep the Estate condition of " Sharall Estates" perfect for all to enjoy. Gorgeous and incredible built home with paved driveway entering through a gorgeous custom built steel gate... All complete and ready for you and your family!!!! Watch for some open housing and check this one out.. R 2 wells ( one is upwards of 50gpm) !! 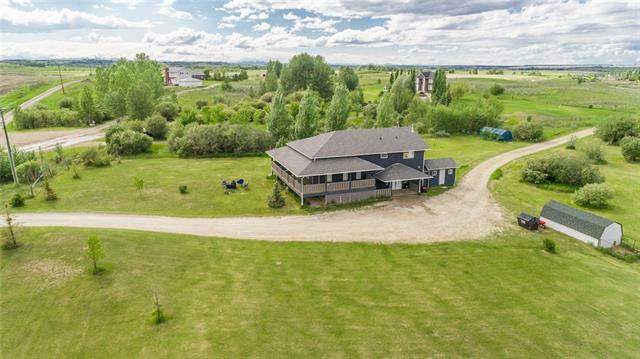 Home for sale at 48034 Sharall Ci E Rural Foothills County, Alberts T1V 1N1. 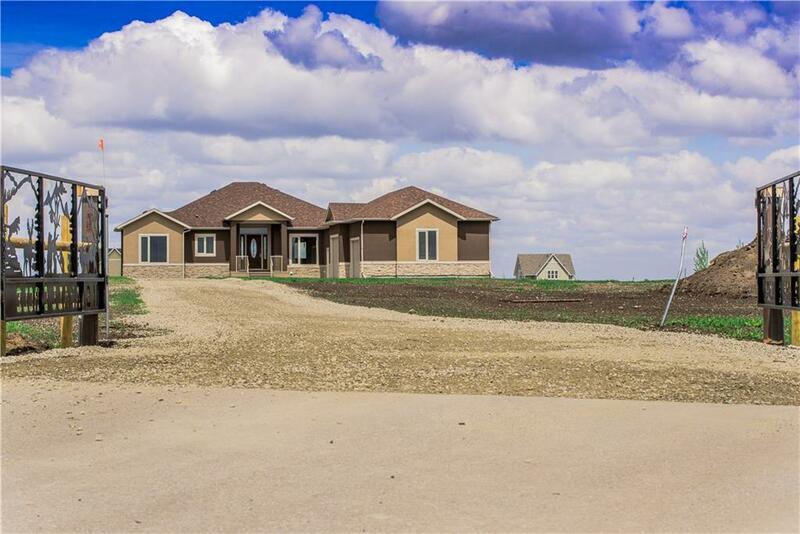 Description: The home at 48034 Sharall Ci E Rural Foothills County, Alberta T1V 1N1 with the MLS® Number C4223946 is currently listed at $1,149,899.